Mid Plant Services supplies quality new, used and refurbished earthmoving parts and components to the earthmoving, contract mining, quarrying and construction industry for Daewoo / Doosan, Hyundai and also for the Volvo excavator range. 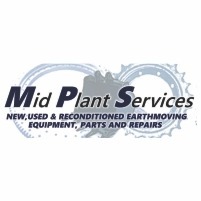 Mid Plant Services supplies quality new, used and refurbished earthmoving parts and components to the earthmoving, contract mining, quarrying and construction industry for Daewoo / Doosan, Hyundai and also for the Volvo excavator range. We are sole importers of the Amigo brand, which is a high quality Korean manufactured alternative for your hydraulic needs and requirements. We also import a range of factory reconditioned hydraulic components at cost effective prices to suit your budget. With over a hundred years combined knowledge and experience in the Korean Earthmoving product, we are able to assist on a wide range of brands which includes but not limited to Hitachi, Komatsu, CAT, Sumitomo, and most Chinese manufactured equipment. Our team of industry experts, most of whom have in excess of 30 years’ experience in the earthmoving industry, understand how important it is to provide our customers with quality products and services. – Reseal and repair of Hydraulic Valve banks.